In part 1, we got started by introducing an application where digital identity is stored in a blockchain, focusing on the use case and the proposed system architecture. In this part, we will cover the implementation details and key takeaways. Modern and distributed applications require a modern and distributed data platform for streamlined development and rapid scale as the network grows. 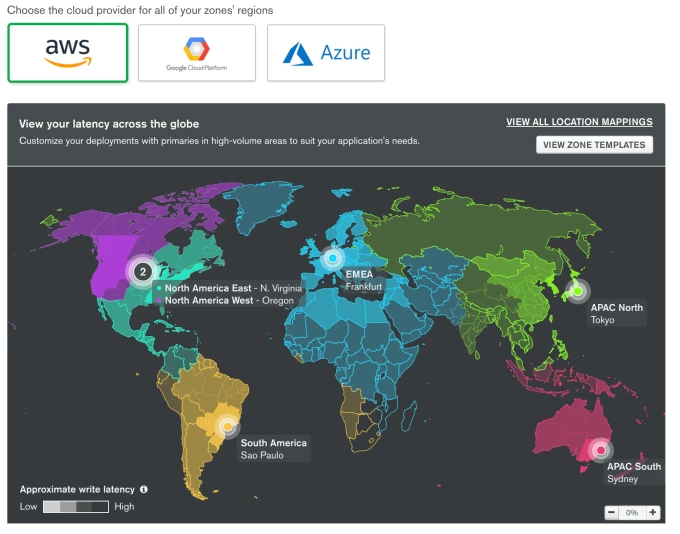 Storing the data locally is not reliable, performant or scalable enough, and here is where the advantages of the MongoDB Atlas cloud database and the MongoDB Stitch serverless platform really shine, providing the best foundation to build apps with a global reach. Stitch Triggers & third-party services: Once a user’s identity has been validated, Stitch Triggers we notify parties about offers and promotions based on the data in the blockchain. With third-party service integrations, we can integrate information and security gathering services easily into the process. Note: The Atlas cluster must be of version 3.6 and above. Atlas provides data access and management with scalability, resilience, and worldwide distribution to conform with privacy regulations such as GDPR and HIPAA. Rich query and analytical language with a built-in Stitch hybrid connection string. In particular, we have utilized MongoDB views built on top of the $graphLookup aggregation stage, which is a key capability to traverse and validate data structures such as Blockchains. 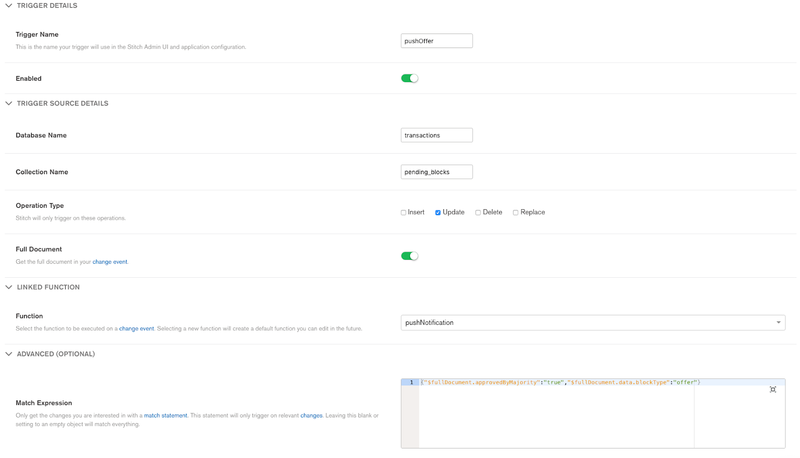 MongoDB Stitch Triggers make events even simpler to process. Built-in TLS and enterprise security features allow us to enforce additional levels of access control, auditing, and encryption, layering upon the governance features of MongoDB Stitch and the Blockchain itself. The world of blockchain in digital systems has a tremendous potential and I believe we are going to see some extremely innovative ideas that will thrive outside of the cryptocurrency space. MongoDB enables rapid innovation, developer productivity, and scale-out for applications like this one and many others – which all benefit from decentralized data control, trust and immutability. White Paper: Building Enterprise Grade Blockchain Databases with MongoDB.